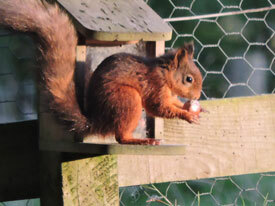 Why Should Grey Squirrels be Controlled? 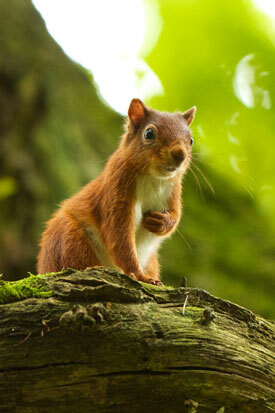 Red Squirrels are the ONLY native squirrel living in the UK. Grey Squirrels are a non-native species introduced into the UK 120 years ago but unfortunately red and grey squirrels cannot live side by side. 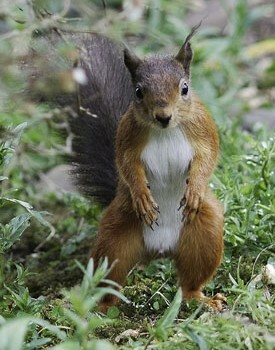 When grey squirrels enter a red squirrel area, the red squirrels will die out if there is no intervention to remove greys. Grey squirrels carry the squirrel pox virus which is harmless to them but causes death in red squirrels usually within 2 weeks. Grey squirrels out-compete red squirrels for food, eating approximately 6-8 times as much as the reds, and the presence of grey squirrels within a red squirrel area will cause red squirrels to stop breeding. 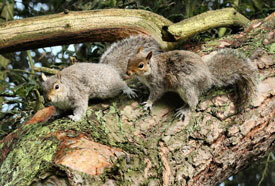 Grey Squirrels also eat birds’ eggs and chicks, raid crops and destroy trees through bark-stripping. Grey squirrels will inhabit lofts and roof spaces and can cause untold damage, including causing fires by chewing through wires.